Lethbridge First Aid is a training service provider in Lethbridge, Alberta that is dedicated to offering students the best possible training experience in the area. With cheap rates, flexible schedules, and St Mark James certification, Lethbridge First Aid has remained the best in the area. Students can enrol in first aid classes, stand-alone CPR/AED classes, and recertification programs. Enrolment can be completed after choosing the program you want to enrol in (visit the Lethbridge First Aid website for a list of classes and schedules). E-mails, telephone calls, and walk-ins are highly encouraged methods to complete registration and enrolment to a program. Total fees are paid in full during enrolment, inclusive of taxes, certification costs, and workplace approved trianing manuals. There are no additional expenses incurred during the rest of the training. If a trainee drops out, he or she receives a full refund if a 72-hour notice was given before dropping out. First aid programs are 14-16 hours long in total. Students are taught a variety of first aid skills, centering on recognizing and reacting to different emergency and hazardous situations. 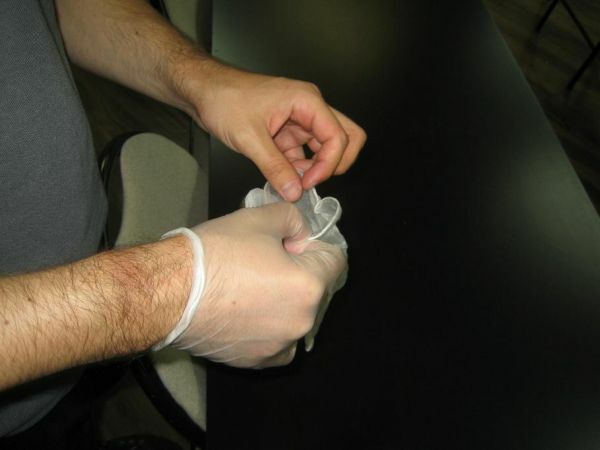 Listed below is a sample topic outline on what students learn in a first aid program. To pass a program, the student is required to have complete attendance, at least 75 percent on the written exam, and good skill demonstration. 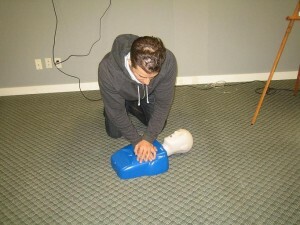 CPR-only classes are also available, inclusive of AED training. AEDs are machines that detect heart rhythms and supply the heart with needed shock. These classes have three levels (A, C, HCP), lasting 4, 5, and 6 hours respectively. Certificates are awarded upon completion of a class or program. The certificate cards are given to all students but wall-mount certificates can be requested for an additional fee. The certificates are only valid for three years and can be renewed (if still valid) through recertification programs. Standard first aid recertification is 8 hours long, inclusive of CPR level C recertification, held twice weekly. Stand behind the victim and wrap your arms around his or her waist. Make a fist with one hand and cover it with the other. Place both hands just below the sternum (breastbone), slightly above the navel. Make five upward, inward thrusts. Continue until food or object is removed and breathing is restored or use the “five-and-five” approach, alternating between back blows and abdominal thrusts.